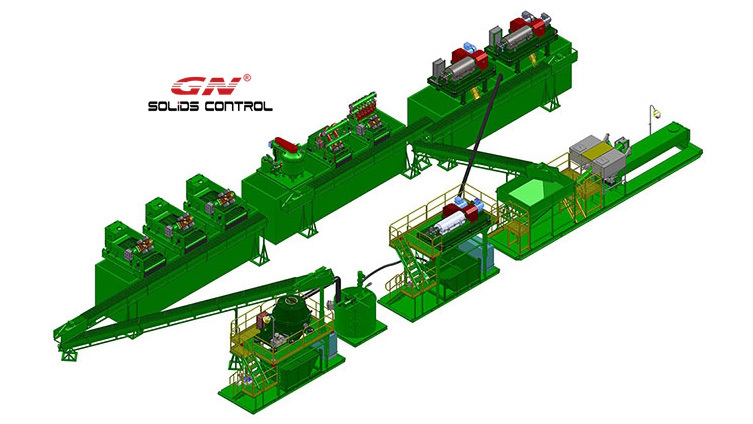 GN Solids Control manufactures all 4 stage solids control equipment for treatment of drilling mud. This include shale shaker, desander, desilter and decanter centrifuge. 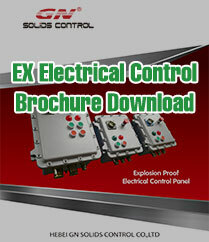 GN Solids Control manufactures all 4 stage solids control equipment for treatment of drilling mud. This include shale shaker, desander, desilter and decanter centrifuge. 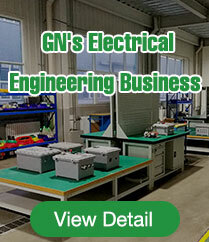 And also GN manufacture the drilling waste management equipment like vertical cuttings dryer, high G drying shaker and waste treatment centrifuge. The decanter centrifuge for treatment of drilling mud include high gravity and low gravity solids separation, dewatering, and waste water treatment. WBM which is known as Water-based mud ,it is Most basic water-based mud systems begin with water, then clays and other chemicals are incorporated into the water to create a homogeneous blend resembling something between chocolate milk and a malt. OBM which is known as Oil-based mud , the Oil-based mud is a mud where the base fluid is a petroleum product such as diesel fuel.